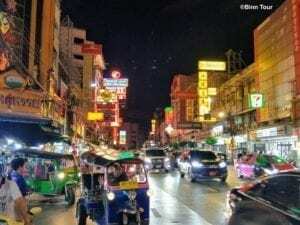 Is it your first time in Bangkok? 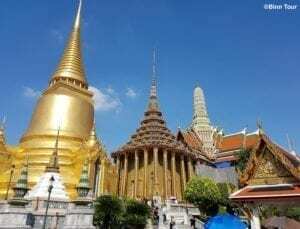 If yes, you should check out the following sights and activities to experience the best that the Thai capital has to offer. With this list you can be sure to discover the City of Angels in many different lights! The Wat Phra Kaew and the Wat Pho are royal temples that attract a great number of visitors throughout the year. They give evidence to the sophistication of traditional Thai craftsmanship and the role of Buddhism in the country. The main focus are the Emerald Buddha in the Wat Phra Kaew and the Reclining Buddha in the nearby Wat Pho. If you are looking for a fun shopping experience, you will find the right spot in the heart of Bangkok. Many shopping malls are concentrated in Siam and offer something for every taste and budget. Be sure to check out Siam Paragon and MBK for a good variety of shopping malls. 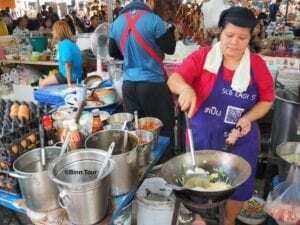 Street food is an essential part of city life in Bangkok but is less and less common due to strict regulations. Under the free sky you will not only find simple and traditional meals that Thai people love to eat, but also one of the few Michelin star rated street foods in the world! 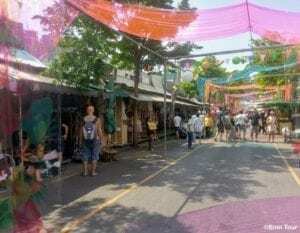 Your shopping experience in Bangkok would not be complete without a visit at Chatuchak. The weekend market offers almost everything you can think of and is the perfect place to practise your bargaining skills. How to find your way in this huge market? Just let your curiosity guide you! A Thai massage naturally belongs to every vacation in Bangkok and is most needed after a long walking day. Whether you prefer the traditional Thai massage, a full body oil massage or simply a foot massage, there is nothing more effective to calm your body and mind. Moreover, the prices in Bangkok are significantly lower than in most places abroad, so you can treat yourself to a nice spa program more than once. Bangkok’s Chinatown is deeply rooted in the history of the capital and is a world on its own. It’s busy from morning to night, especially along Yaowarat Road which has given its name to the district. If you like to explore colorful Chinese temples and get a glimpse of everyday life for traders and merchants, you should come visit during the day. However, Yaowarat is also famous for fantastic street food, so be sure to stop by again in the evening! The Chao Phraya River used to be the center of all activities in the early days of Bangkok. But it still remains a vital part of the modern city and many thousands of people use it as a mean of transportation every day. Numerous sights and some of the finest hotels are located along the riverbank. 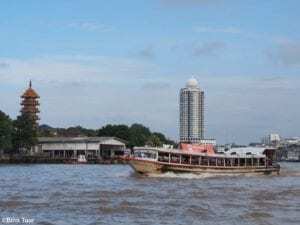 A boat ride on the Chao Phraya is not only fun, but also an appreciated alternative to the congested streets in Bangkok. What happens in Bangkok stays in Bangkok! Whether you look for a classy jazz bar, a go go bar or a club with international DJs, you can be sure to spend a good night out in Bangkok. The most popular party scenes are Silom, Thonglor/Ekkamai, Nana and RCA. 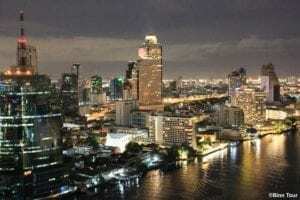 A drink on a roof terrace with a nice breeze and a magnificent view on Bangkok is the perfect way to commence or end a night in Bangkok. High towers are springing up everywhere giving the city an impressive skyline. I do admit, Asiatique is much like a small Disneyland and the majority of visitors are foreigners. There’s nothing authentic here. Nonetheless, it’s still a fun and cosy place to hang out. You will find a great selection of shops, restaurants and evening shows. 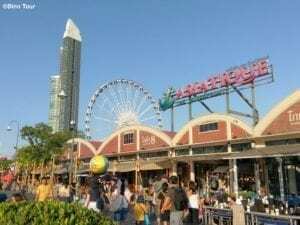 Asiatique is both popular among the young crowd and families with children.